Mal Duffin (mal_cando) awarded D4426: VSE movie strip previews a Like token. Mal Duffin (mal_cando) added a comment to T58890: Sculpt Mode not updating in LookDev or Rendered . Mal Duffin (mal_cando) edited projects for T58044: Issue with adding hair to rigid body, added: BF Blender: 2.8; removed BF Blender. Mal Duffin (mal_cando) closed T58112: Error loading file ( rigid body / soft body / hair dynamics ) as Resolved. I just tried it, the loading seems to be fixed. Inês Almeida (brita_) awarded D4031: Making ffmpeg use the maximum available threads, rather than just 1 ( default ) a Burninate token. Mal Duffin (mal_cando) added a comment to D4031: Making ffmpeg use the maximum available threads, rather than just 1 ( default ). So we can actually commit with thread_count = 0;, in the hope that later on Blender gets optimized to actually take advantage of more threads. Mal Duffin (mal_cando) updated the diff for D4031: Making ffmpeg use the maximum available threads, rather than just 1 ( default ). We could commit this with thread count set to 2 and the audaspace changes left out, for the purpose of getting the small speedup. Mal Duffin (mal_cando) abandoned D4056: Update based on feedback. Mal Duffin (mal_cando) created D4056: Update based on feedback. yesuu (yesuu) awarded D4031: Making ffmpeg use the maximum available threads, rather than just 1 ( default ) a Like token. Maybe all this is doing is making the ffmpeg encoding run in its own thread separate from the Blender main thread, which saves a little bit of time. But it's not actually encoding multiple frames in parallel, and something else is needed to do that? noki paike (amonpaike) awarded D4031: Making ffmpeg use the maximum available threads, rather than just 1 ( default ) a Burninate token. Mal Duffin (mal_cando) added a watcher for Video Sequencer: Mal Duffin (mal_cando). Mal Duffin (mal_cando) added a reviewer for D4031: Making ffmpeg use the maximum available threads, rather than just 1 ( default ): Video Sequencer. In the tests so far, this has had an approximately 20% speedup. Mal Duffin (mal_cando) created D4031: Making ffmpeg use the maximum available threads, rather than just 1 ( default ). Mal Duffin (mal_cando) added a comment to T56147: OpenColorIO Error when adding Material to Object in New Scene. I'm still getting this crash in the latest build. Mal Duffin (mal_cando) created T58112: Error loading file ( rigid body / soft body / hair dynamics ). Mal Duffin (mal_cando) closed T58048: Crash when adding particles to an already animated Soft Body as Resolved. Mal Duffin (mal_cando) added a comment to T58048: Crash when adding particles to an already animated Soft Body. Hi Phillip, I re-pulled the latest sources and did a "make clean" ( and also a clean build from Visual Studio ), and the issue now seems to be resolved! does this happen with Factory Settings as well? Hi @Philipp Oeser (lichtwerk), this is still happening here for me ( in the build from the latest source - 32ab0647a53 ). So, hair seems to work with Soft Body physics updates and not Rigid Body physics updates. Mal Duffin (mal_cando) created T58048: Crash when adding particles to an already animated Soft Body. Mal Duffin (mal_cando) created T58046: Crash when changing Particle type, when Hair has dynamics. Note that, if you carry out the above steps and skip 7), the ( non-hair ) particle effects do follow the cube. Mal Duffin (mal_cando) created T58045: When changing particle type from Emitter to Hair and then back to Emitter, effect is missing. Mal Duffin (mal_cando) created T58044: Issue with adding hair to rigid body. Mal Duffin (mal_cando) added a comment to T57578: Vertex Connect Crashes Blender 2.8 . Mal Duffin (mal_cando) added a comment to T57608: Crash on very simple physics scene baking. Mal Duffin (mal_cando) added a comment to T57678: Culling of smoke depending on view direction. I had tried to build locally, but I was getting a crash - and did indeed download the latest BuildBot build, which didn't seem to have the commit. If I change the camera clip start, it has an effect on the visibility of the smoke. Mal Duffin (mal_cando) updated the task description for T57678: Culling of smoke depending on view direction. Mal Duffin (mal_cando) created T57678: Culling of smoke depending on view direction. Mal Duffin (mal_cando) added a comment to T57601: Crashing after baking ( or clearing and baking ) simple smoke sim. Mal Duffin (mal_cando) updated the task description for T57608: Crash on very simple physics scene baking. Mal Duffin (mal_cando) created T57608: Crash on very simple physics scene baking. Mal Duffin (mal_cando) created T57606: Simple sculpting changes in Solid ( and Wireframe ) are not reflected in LookDev or Rendered mode. I see the crash when I click on the other vertex across from the initially selected one, and then run Vertex Connect ( not Vertex Connect Path ). 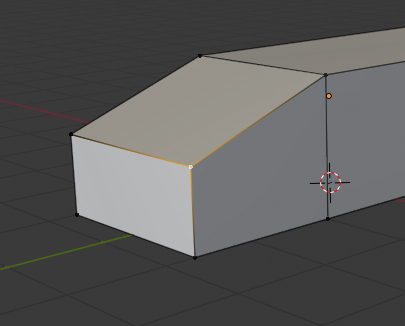 Mal Duffin (mal_cando) added a comment to T57604: fbx no import in blender 2.8. Mal Duffin (mal_cando) added a comment to T57605: Blender 2.67b got lightened grey . Mal Duffin (mal_cando) added a comment to T56267: on EEVEE, Glass BSDF + procedural textures bug. Well the "show backside" has a performance cost associated to it, and it is unnecessary for certain objects (think a simple glass plane). Mal Duffin (mal_cando) updated the task description for T57601: Crashing after baking ( or clearing and baking ) simple smoke sim. Mal Duffin (mal_cando) created T57601: Crashing after baking ( or clearing and baking ) simple smoke sim. Mal Duffin (mal_cando) created T57600: Creating a new scene doesn't use the default Colour Management settings. Mal Duffin (mal_cando) created T57512: Creating a full copy scene doens't support parenting. Mal Duffin (mal_cando) edited projects for T57390: Crash when adding a new scene with empty, added: BF Blender: 2.8; removed BF Blender. 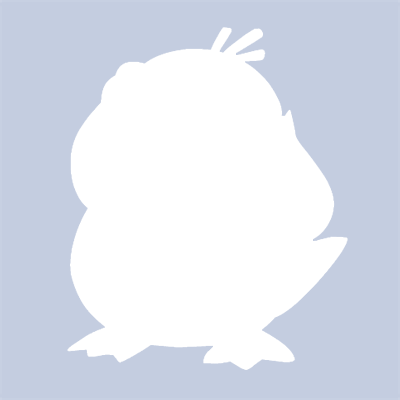 Mal Duffin (mal_cando) added a comment to T57390: Crash when adding a new scene with empty. I've added a fix for this, I just need to get permissions set up to push it to the repo. Mal Duffin (mal_cando) created T57390: Crash when adding a new scene with empty. Mal Duffin (mal_cando) edited projects for T57389: Culling not working correctly when using array modifier, added: BF Blender: 2.8; removed BF Blender. Mal Duffin (mal_cando) created T57389: Culling not working correctly when using array modifier. Mal Duffin (mal_cando) added a comment to T57361: Creating a new scene with a full copy doesn't work ( objects are instanced ). Hi Bastien, if you make a full copy of the scene and then delete the scene, it works fine. If you can give me a few pointers as to where to look, I can have a look at fixing it myself and hopefully submitting a patch. I recently downloaded and compiled the sources and can now debug with Visual Studio, if you're OK with sharing some of your knowledge of this area, I'll try to use that to fix the issue. Mal Duffin (mal_cando) created T57361: Creating a new scene with a full copy doesn't work ( objects are instanced ). Mal Duffin (mal_cando) added a comment to T57338: Saving a file with the viewport in Rendered shading mode ( in Eevee or Cycles ) and reloading shows the viewport in Solid mode. It would be great if this was a togglable option. A better fallback for Rendered mode might be LookDev, rather than Solid? Mal Duffin (mal_cando) created T57338: Saving a file with the viewport in Rendered shading mode ( in Eevee or Cycles ) and reloading shows the viewport in Solid mode. Mal Duffin (mal_cando) updated the task description for T57320: Crash when adding a linked scene, then deleting it. Mal Duffin (mal_cando) created T57320: Crash when adding a linked scene, then deleting it. Mal Duffin (mal_cando) added a comment to T55205: Eevee anti-aliasing artifacts on Intel HD Graphics 620. Ah, no probs :) I had raised another bug before I read this. Where is the best way to report issues like this? I know the Intel graphics chipsets aren't as powerful as NVidia / ATI, but they are more common. Mal Duffin (mal_cando) created T55206: Eevee viewport constantly updating when moving over panel with Cursor/Select Border icons. A bit more info - the same thing is shown when in Edit mode. Mal Duffin (mal_cando) created T55205: Eevee anti-aliasing artifacts on Intel HD Graphics 620.